Caroline Bell is the co-founder of Cafe Grumpy. We recently got the chance to ask her a few questions. It is known that you started Cafe Grumpy in 2005 when you were disappointed with the coffee options in NYC. What is it like seeing the booming coffee shop culture now? Can you share your experience in seeing this change, and how did you adapt? It seems like people are more interested in where their food comes from and how it is produced now, so that is a positive. 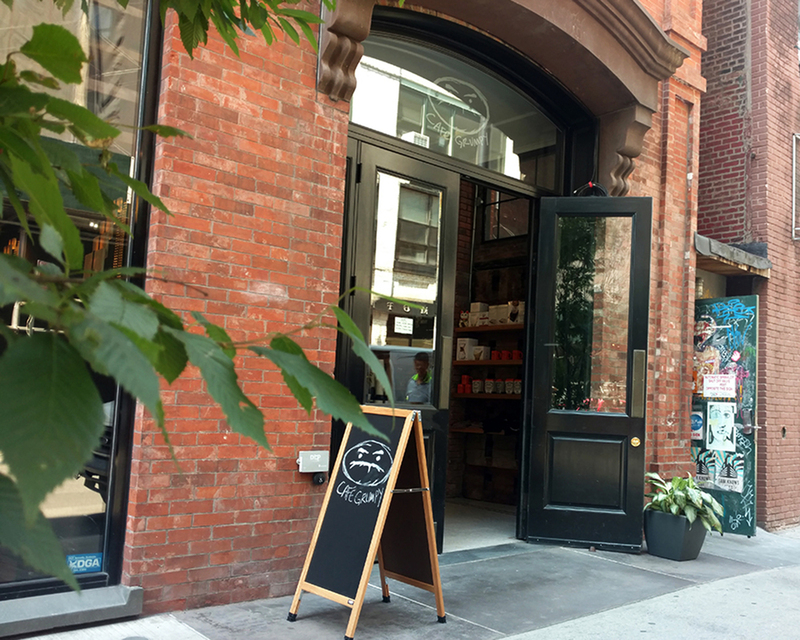 We are transparent with where we source our coffee from and roast locally in Greenpoint, Brooklyn, and customers appreciate that. 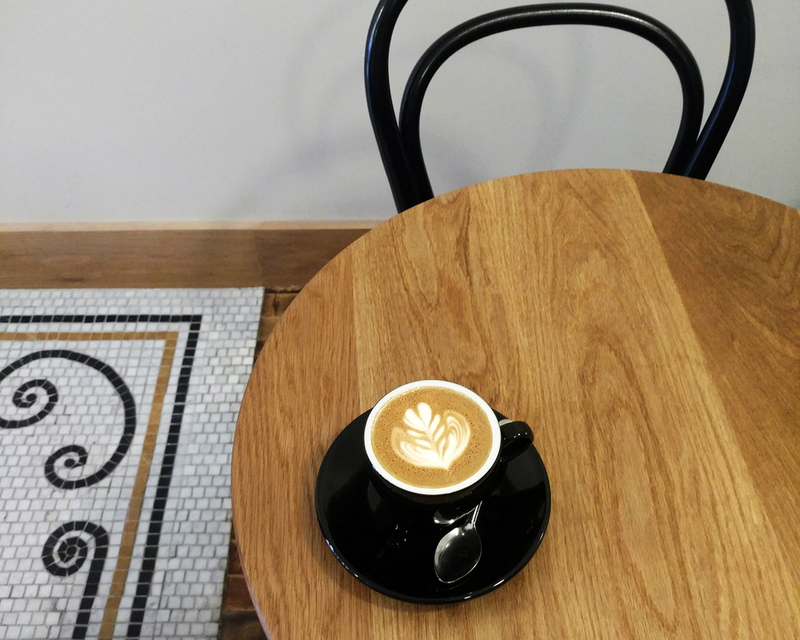 Coffee has always been a big part of New Yorker's lives, and with more and more coffee shops opening up, people are becoming more familiar with specialty coffee and becoming more open-minded about trying different coffees. There are some challenges though – as an independently owned and operated business and it is sometimes hard to be competitive with the resources we have compared with the resources other coffee shops backed by bigger corporations have. We are extra careful with every decision we make and try to grow organically and remain committed to creating a positive environment for customers and for our staff (some staff have been with us since 2006). What is it like working with your husband? Do you have any advice for couples thinking about starting a business together? When we started, we were working behind the bar together seven days a week, which was challenging! We have now taken on different roles within the business. I would recommend moving into roles that suit your individual skills – you can cover more ground this way and gain different perspectives. Starting any business with or without a partner can be an all-consuming more than full-time commitment. My main advice for anyone is to try to stay healthy – eat well and find time to exercise even if it is just for 30 minutes a day. It will make a big difference to your energy and outlook. I remember coming to your Chelsea location because I loved the name, and then kept going back for the good coffee. What inspired the name "Cafe Grumpy?" 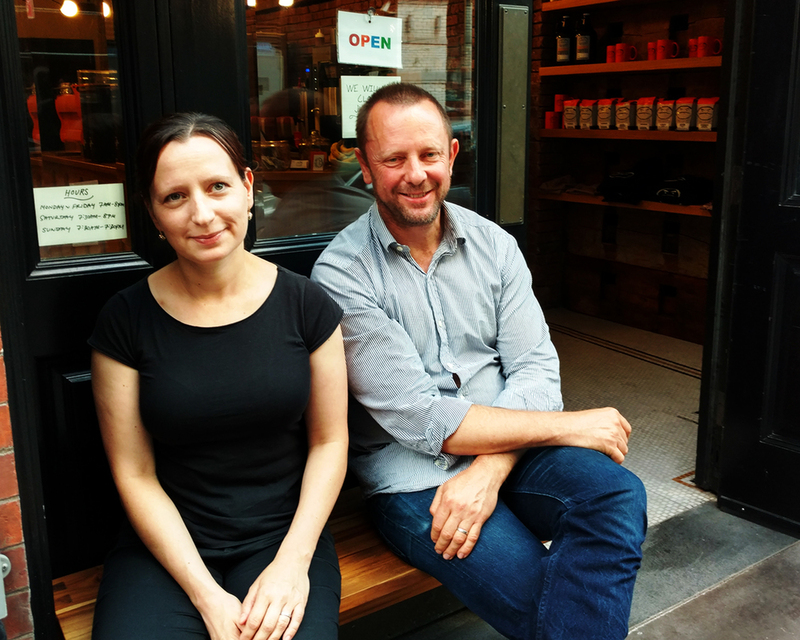 The name was inspired by some bad customer service we received at a (since closed) coffee shop back in 2004 – as in this place is making us so grumpy it should be called cafe grumpy! The logo was designed by my brother and was based on the shape of a coffee bean. We wanted it to be fun and approachable. Can you share a bit about your partnership with Action Against Hunger? We had been donating items to some of Action Against Hunger's auctions since 2008 and we decided we wanted to do something more substantial and long-term. Action Against Hunger works within many coffee producing countries so we thought the partnership made sense and would resonate with our customers. We selected Guatemalan coffee specifically because we purchase more coffee from Guatemala than from any other origin: Action Against Hunger. Are there any others charities that you support? We work with charities, non-profits and organizations that support the local community and also have an impact on the broader community – that enhance the quality of life, care about the environment, support the arts and promote the welfare of individuals and animals. In 2015, we donated 25% of Cafe Grumpy's profits to charitable organizations. Some organizations we support are The Bowery Residents' Committee, Food Bank for New York City, AIDS Walk NY, Muscular Dystrophy Association, Sean Casey Animal Rescue, Bike MS.
We also focus on fostering direct relationships with our coffee growers who provide their workers with safe working conditions, food, housing, education, health initiatives and general well-being. We also look to work with producers who use sustainable agricultural practices including soil health and biodiversity. One project we are currently raising money for is the Shamba Mushroom Project in Burundi. Our coffee buyer Cheryl is in Burundi this week checking on the progress: Mushroom Project.